Bernhard von Gudden was a psychiatrist in Prussia and he was summoned in March 1886 to examine King Ludwig II for his apparently insane activities. Bernhard von Gudden was a psychiatrist in Prussia and he was summoned in March 1886 to examine King Ludwig II for his apparently insane activities like, profligate spending and erratic behaviour. A team of four estimable psychiatrists pronounced that he was not capable ruling. Consequently, he was dethroned and kept in a castle under supervision of von Gudden. Gudden championed the idea of ‘no restraint’ and advocated free movement of insane persons and one evening in June, he accompanied the King during an evening stroll to a lake. A few hours later, the corpus of both of them were recovered under mysterious circumstances. Autopsy suggested that the King was drowned but no post-mortem examination was performed on von Gudden. There are plenty of controversies regarding their death like, murder, accidental death or even natural death from cardiac arrest following immersion in cold water, but no incontrovertible conclusion could be arrived at, even after scrupulous analysis by historians and even the diagnosis of insanity of the King has been doubted. Some even suggested that the opinion of psychiatrists were sought as a pretense in order to depose the King. von Gudden was a neuroanatomist and a psychiatrist who in the primordial days of the yet undefined subject of neurosciences, worked on the quintessential nature of the structure of the brain and the mechanism of the functioning of the mind [Figure 1]. von Gudden has to his credit, a number of neuroanatomical works like. Gudden-Wanner sign: Shortening of the bone conduction time of a tuning fork over bony cranial scars. However, it was as a psychiatrist, where von Gudden made his indelible imprint in the then contemporary world of neurology. As a matter of fact, he tried to introduce a new subject, Nervenheilkunde, or amalgamation of neurology and psychiatry. He rejected the established methods of treating patients with psychiatric illness as practiced earlier and the concept of physical force and moral exactness, as advocated by the older generations of psychiatrists, were anathema to him. As an inveterate protagonist of “the principle of no restraint,” he introduced newer ideas in the management of these patients such as granting personal freedom and social life, and encouraging intimate communication with the treating physician, as well as the provision for a well-trained staff with a strong sense of duty in order to nurse them. This concept, however, was advocated much before by Wilhelm Griesinger (1817-1868) and Ludwig Meyer (1827-1900), estimable psychiatrists from Prussia. However, von Gudden practiced it assiduously for the first time. In those days, hematoma of the outer ear, as well as the multiple rib fractures and trophic neurosis often found in psychiatric inmates, were generally glossed over but von Gudden linked these afflictions to insufficient care and supervision, or even to physical violence committed by the physicians or the nursing staff on the patients. von Gudden died a tragic and mysterious death. He was made a Noble in 1875 and was in charge of the treatment of Otto, the younger brother of the King, Ludwig II of Bavaria since 1872, who suffered since his childhood from some psychiatric ailments. [10,11] In March 1886, the Bavarian government expressed their concern about the sanity of the King who had been reigning since 1864 [Figure 2]. The King, once upon a time, a handsome young man with empathy and a keen taste for music and art, often described by people as the “Fairy Tale King” had often been behaving erratically and spending in a prodigal manner and such profligacy was seriously questioned by the government officials. They assembled and finally approached Otto von Bismarck, the Minister President of Prussia, with strong allegations and concern about the King’s mental status, but Bismarck summarily dismissed their plea stating that those were “rakings from the King’s wastepaper basket and cupboards” and referred the matter to the appropriate body with the piquant comment, “…the Ministers wish to sacrifice the King, otherwise they have no chance of saving themselves.” In early June, 1886, a team of four estimable psychiatrists comprising in von Gudden, along with Hubert von Grashey, his son-in-law, Friedrich William Hagen and Max Hubrich, deposited their declaration with the verdict that the King had been suffering from paranoia. They concluded. Due to his illness, it is clear that his Majesty no longer has his own will and for this reason is most likely to be unable to govern, and that this situation will most likely last not only a year but also for the rest of his life. A few days later on the 13th of June on a fateful Sunday afternoon, Gudden accompanied the King for an evening stroll in one of the parks on the castle grounds, and the attendants were instructed to stay away. Herbert von Grashey wrote that near the shore of the Sternberg lake, the king dashed away and jumped into the lake, possibly with the intentions of committing suicide. As von Gudden rushed for his rescue, the powerful King hit him on the head and drowned him till he died of suffocation. Thereafter, the king swam further ahead and drowned himself. Two of them were last seen at around 6.30 pm, and they were expected to return by 8 pm. As time passed, the anxious security people rushed off, only to discover amidst heavy rain, that both had lost their lives and their dead bodies were floating in the lake. Autopsy report suggested that the King had committed suicide, though no water could be found in the lungs, an incontrovertible evidence of antemortem drowning, and additionally, the King was known to be a trained swimmer and his body was found where water was only waist-high. On the contrary, there were plenty of marks of injury in von Gudden’s head and neck, which clearly suggested strangulation, but strangely, nothing more was documented in the report. There is a strong body of opinion that the King was murdered while attempting to escape again on that evening and one report suggests that he was gunned down. Jako Lidl, the King’s personal fisherman wrote, “Three years after the king’s death I was made to swear an oath that I would never say certain things… The state has undertaken to look after my family if anything should happen to me in either peacetime or war.” However, his personal notes which were found after his death read that he was hiding behind the bushes waiting to sail the King out to a safe place where his loyal supporters were waiting. He wrote, “As the king stepped up to his boat and put one foot in it, a shot rang out from the bank, apparently killing him on the spot, for the king fell across the bow of the boat.” Another prevailing view is that the King died of a heart attack following immersion in cold water in the lake. Thus, from reading the views of different writers, it is not yet clear whether the King committed suicide, killed von Gudden, was terminated by his adversaries, or died a natural death on exposure to cold water. And whether von Gudden died in the scuffle or was simply drowned, is open to question. And finally, his role in declaring the King insane and paranoid seems dubious to many authors. There is still room for further investigations into the tragic death of these two men. 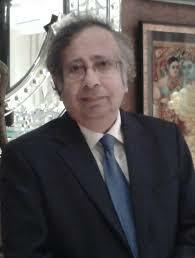 Bhattacharyya KB. 1st ed. Kolkata, India: Academic Publishers; 2011. Eminent Neuroscientists: Their Life and Works. Haymaker W, Schilller F, editors. Founders of Neurology. USA: Charles C. Thomas; 1970. Pryse-Phillips W, editor. Companion to Clinical Neurology. UK: Oxford University Press; 2003. Firkin BG, Whiteworth JA, editors. Medical Eponyms. UK: The Parthenon Publishing Group Ltd; 1987. Danek A. Bernhard von Gudden, neuro-ophthalmology and the Munich School of Neuroanatomy and Psychiatry. Strabismus. 2006;14:211–6. Danek A, Gudden W, Distel H. The dream king’s psychiatrist Bernhard von Gudden (1824-1886). A life committed to rationality. Arch Neurol. 1989;46:1349–53. Müller JL. Johann Bernhard Aloys von Gudden, 1824-1886. Am J Psychiatry. 2002;159:379. 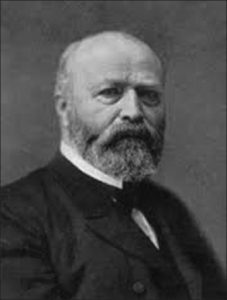 Kohl F. Bernhard von Gudden (1824-1886) – Institutional psychiatrist, brain anatomist and influential university teacher. Psychiatr Prax. 1994;21:162–6. Steinberg R, Hippius H. Bernhard von Gudden on the occasion of the 125th anniversary of his death. Nervenarzt. 2011;82:599–610. Hippus H, Möller HJ, Müller N, Neundörfer-Kohl G. From Kraepelin and His Predecessors to Molecular Psychiatry. Heidelberg: Springer Medizin Verlag; 2008. The University Department of Psychiatry in Munich. Blunt W, Petzet M. The Dream King: Ludwig II of Bavaria. UK: The Viking Press, Inc; 1970. Hay GG. The illness of Ludwig II of Bavaria. Psychol Med. 1977;7:189–96. 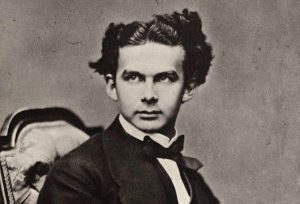 Nöhbauer H, Ludwig II, editors. Germany: Taschen; 1998. p. 88. Förstl H, Immler G, Seitz M, Hacker R. Ludwig II, King of Bavaria: A royal medical history. Acta Psychiatr Scand. 2008;118:499–502. Zerssen VD. 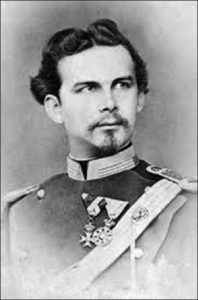 Ludwig II of Bavaria – The “fairy tale king”: His last years from a psychiatric point of view. Nervenarzt. 2010;81:1368–78. Häfner H, Sommer F. Was the expert medical opinion rendered by B.von Gudden regarding King Ludwig II of Bavaria correct? Nervenarzt. 2011;82:611–6. Häfner H, Sommer F. The Bavarian royal drama of 1886 and the misuse of psychiatry: New results. Hist Psychiatry. 2013;24:274–91. Originally published by Annals of Indian Academy of Neurology 20:4 (Oct-Dec 2017, 348-351), republished by the National Center for Biotechnology Information, U.S. National Library of Medicine under the terms of a Creative Commons Attribution-NonCommercial-ShareAlike 3.0 license.